It was supposed to be a happy time, but it wasn't. Megryansmom was really pissed. It was almost Christmas and NOTHING was going right. Whynot didn't want to help bake the Christmas cookies. Presents needed to be bought, money was tight. The kids were complaining. The grand kids were fussy. Megryansmom was beside herself with anger. "I CAN'T believe it! I've got a million things to do, no one wants to help me and I don't even have a Christmas tree! What am I going to do?" Just then a Little Angel opened the front door and stepped in from the snowy night, dragging a Christmas tree. He says: "Yo, Megryansmom, where do you want me to stick the Christmas Tree this year???" And thus the tradition of an Angel perched atop the Christmas tree on The Avenue came to pass. . . . .
Good Morning!!! 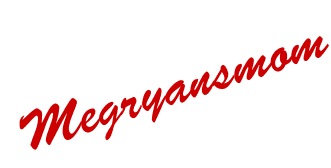 lookitsmegryansmom.blogspot.com is one of the most outstanding innovative websites of its kind. I take advantage of reading it every day. Keep it that way. Hey, can ya send that angel my way? I'm somewhat in the same boat as you right about now :) Except you now have a tree! Sounds like the angel came just in time. I Have the BEST Secret Santa Evah!